By entering the competition you are agreeing to all the terms and conditions mentioned below. Competition is open to United Kingdom and non-UK residents. The prize has no cash value and may not be changed for any other prize. The personalised accessories may only be used for one event. 7. Winner will be selected at random. 8. 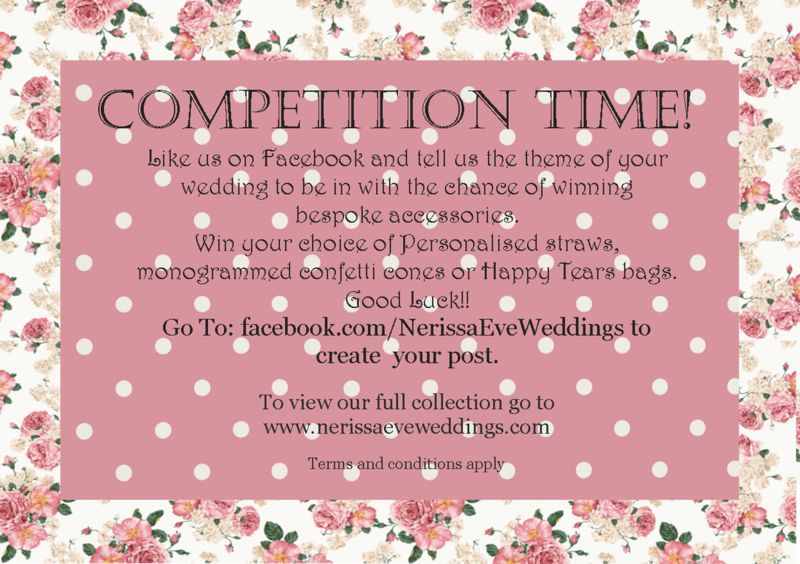 Competition is not open to any promoters or family members of ‘Nerissa Eve Weddings Ltd’. 10. 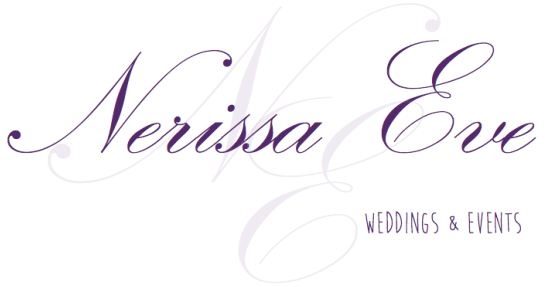 Competition winners must have ‘liked’ the ‘Nerissa Eve Weddings’ Facebook page. 11. Any personal data relating to entrants will be used solely in accordance with current UK data protection legislation. Data will only be used by ‘Nerissa Eve Weddings’ and will not be disclosed to third parties. 12. Includes two electronic proof of monogram before printing, additional proofs start at £5.00/each. 13. ‘Nerissa Eve Weddings’ cannot be held responsible for any items lost in the post. 15. In winning the competition, the winners agree that their names may be used for publicity purposes and future promotions. 16. Only events between May 2014 and November 2015 are eligible. Send a contact us form for more information.